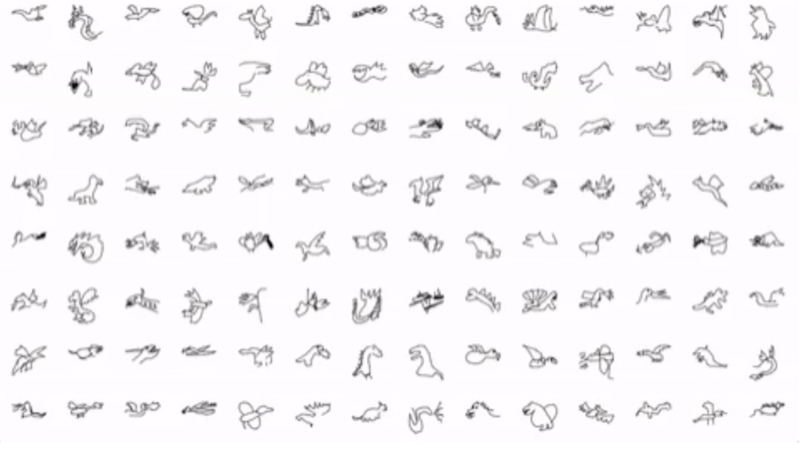 Back in November, Google released artificial intelligence experiment that asks you to draw a random object and see if the neural network can identify your doodle. Quick, Draw! was eventually turned into a tool that transformed drawings into clip art based on the best results it got, helping people add a visual icon to their work without requiring any particular artistic talent. Alongside Google I/O this week, Google has now released the data it received from Quick, Draw! to show you how 15 million people drew the same set of objects. It’s a fascinating look at how humans interpret a random item, from monkeys to parachutes to phones.